Buying a home is a great way to improve your family's financial security. The main way this happens is through home equity. The equity in your home is the difference between its market value and the balance on your mortgage. In other words, equity is the wealth built up in your home over time. If you could sell your home for $400,000 and the amount you owe on your mortgage is only $100,000, then your equity is $300,000. Equity is built in three ways: down payment, mortgage payments, and market gains. 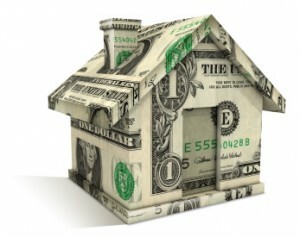 Making a down payment is a reduction in your mortgage amount, giving you instant equity in your home. Making house payments increases your equity as well, since every payment includes a portion for interest and a portion that reduces the amount of your loan amount (called the principal). Over time the amount of your payment that goes toward the principal increases and helps to build your equity even faster. You also build equity as your home gains in value over time; this appreciation in market value can mean that you build equity simply by owning your home. Of course there are no guarantees that real estate values will continue to rise, but historically this has been the case. If your home is worth $250,000 and the market appreciates by 5% each year then after just two years you could add $25,000 in equity simply by living there. Equity doesn't have to be an abstract concept; you can turn it into cash by applying for a home equity loan which uses the equity in your home as security and in many cases allows you to deduct the interest from your taxes, just as you do with your first mortgage. Home equity loans are usually a cheaper source of funds than other types of credit (credit cards, for example) and can be an excellent way to pay for home renovation or to consolidate debt.